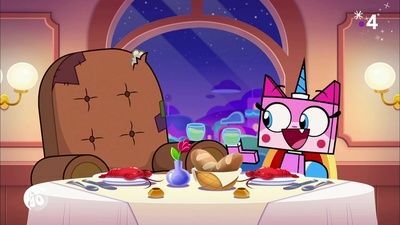 The Best Episodes of UniKitty! 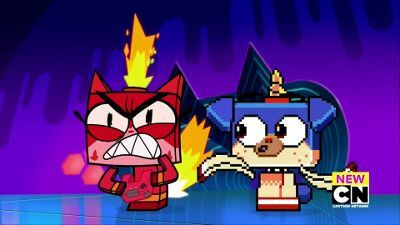 Unikitty and the gang gear up for a fun day at the beach, but when Master Frown shows up to spoil their plans, Unikitty and the gang embark on a beach quest to find the legendary Perfect Spot, far away from Frown's tyrannical rule. 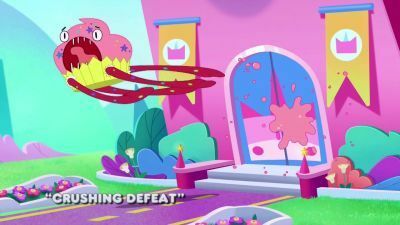 After a mishap in the lab, everyone in the castle- except for Puppycorn- is shrunk to tiny size! Puppycorn thinks it is cool. 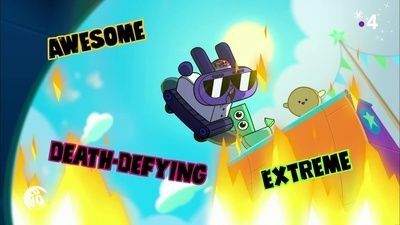 His friends are like living action figures! 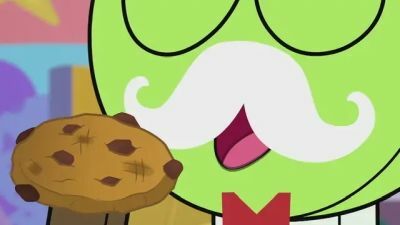 So he begins playing with them in imaginary adventures. 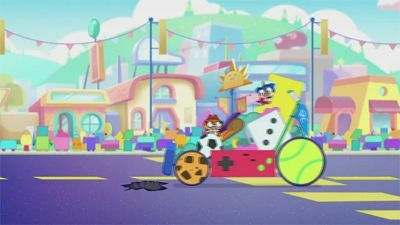 Unikitty and the others think being miniature and playing with Puppycorn is surprisingly fun, but Puppycorn has a habit of accidentally breaking his toys, and it is soon clear the gang will have to make a daring, tiny escape back to the lab before Puppycorn loves them to pieces! 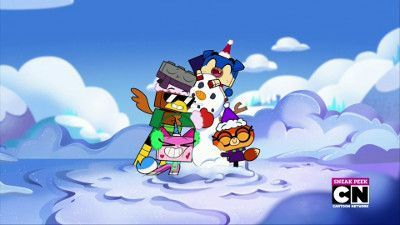 Unikitty and the gang are having a great time at the public pool, until they try to get Puppycorn to swim in the deep end with them. Puppycorn is terrified of the deep end. 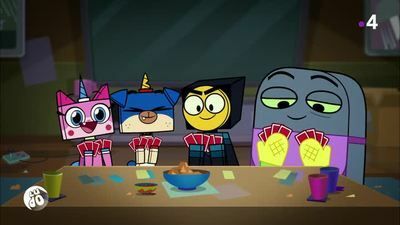 Now Unikitty and the gang must get him over his fear, so he can have maximum pool fun. 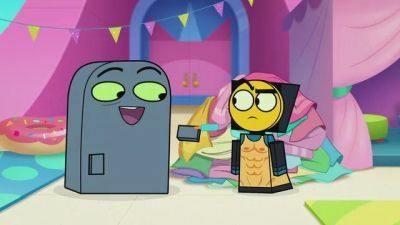 Meanwhile, Master Frown and Brock are hatching a plan to ruin everyone's fun, by pulling the pool's plug. 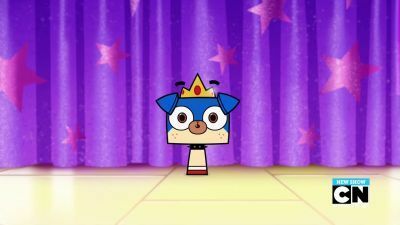 Puppycorn loses his first tooth and Unikitty's excited for her little bro, now he​ ​gets a visit from​ ​the​ ​legendary Tooth Fairy!​ ​But when the Tooth Fairy is a no-show, Unikitty and her friends take on the mantle and responsibilities. 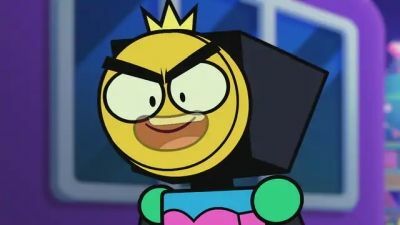 But will they play too fast and loose with loose teeth and hit a raw nerve? 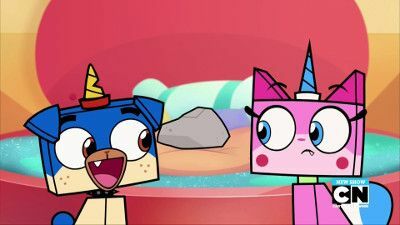 When Puppycorn witnesses Unikitty do the most embarrassing thing ever, he vows he will never forget it. 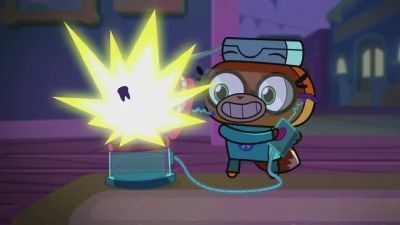 Desperate, Unikitty uses Dr. Fox's memory machine to erase Puppycorn's memory of the embarrassing event. 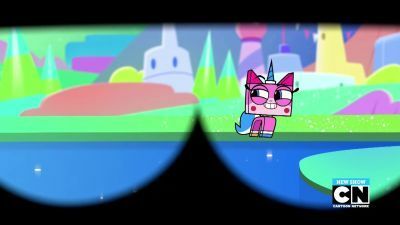 In the process, Unikitty accidentally releases all of Puppycorn's memories. 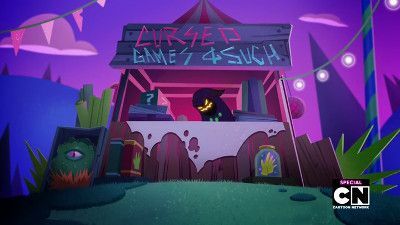 Now she and the gang must scramble to capture all the scampering memories, or Puppycorn will forget his life. 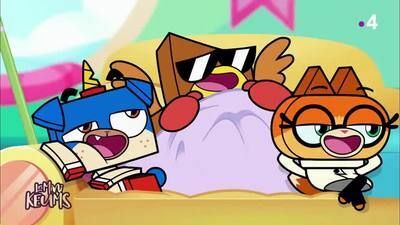 It's a sleepover at the castle and Unikitty and Puppycorn want to stay up all night, believing something magical must happen if you stay up long enough.​ At first the friends are game to stay up all night, but as they fall asleep one by one, Unikitty worries they won't make it! 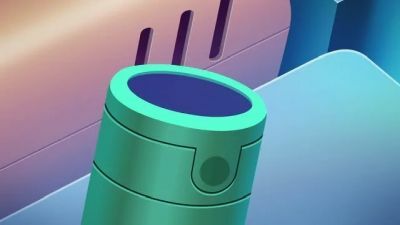 How far will she and her bro go to stay awake, and will they discover the secret reason people are supposed to go to bed when the Sandman shows up? 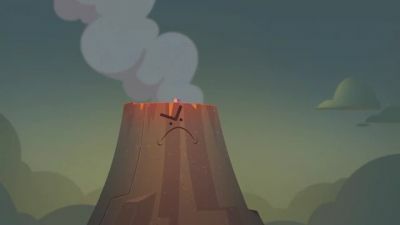 A super-grumpy volcano appears in the kingdom, so Unikitty takes the gang on an epic quest to cheer it up with one of FeeBee's flowers before it erupts and destroys the kingdom. 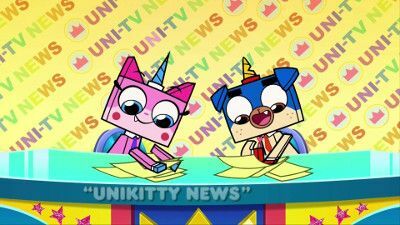 When Dr. Fox's robot helpers go on strike, Unikitty and Puppycorn volunteer to be her research assistants. 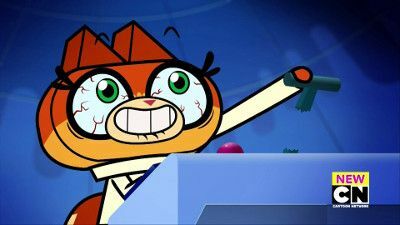 But as the mission grows dangerous, Dr. Fox is forced to choose between a scientific breakthrough, or saving her friends. 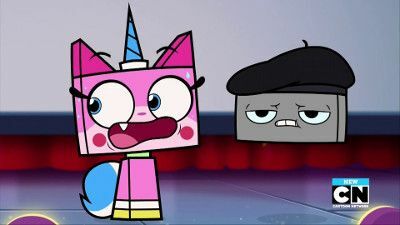 Unikitty discovers Puppycorn’s only other friend is a boring old rock. 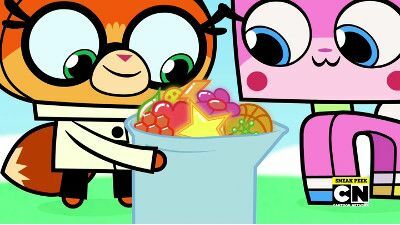 Encouraged to “make more friends,” Puppycorn takes her advice and decides to literally make a new friend out of the best parts of his friends. 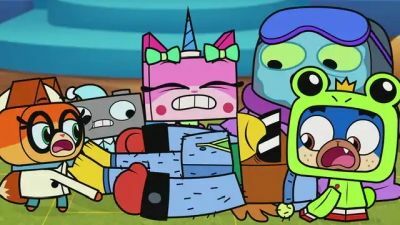 Unikitty finds an old, beat-up recliner on the curb, but sees its inner beauty and decides to bring it home and introduce it to the gang. 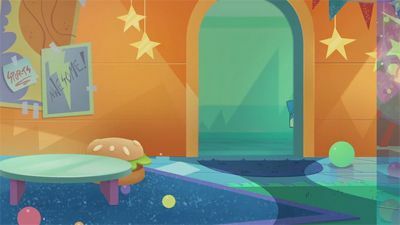 In a series of absurd and fun vignettes, we discover how the dirty, inanimate chair comes into each of their lives and changes them for the better. 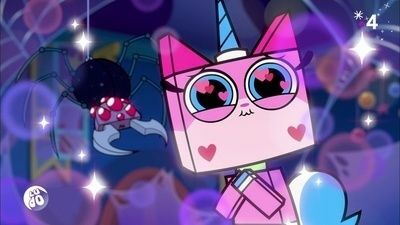 When Unikitty notices that Richard is the only unhappy person in the kingdom and hasn't produced any sparkle matter, she gets Dr. Fox to create a happy serum, but the results are disastrous when Richard's sparkle matter starts getting huge and out of control.